Depending on where you get your foundation from, the trick is to pick a shade or two darker than your skin tone.Â I had to pick Golden Medium, which is two shades darker than my skin toneÂ under the Olive undertone.Â It’s not an exact match, but I’mÂ happy with the results. 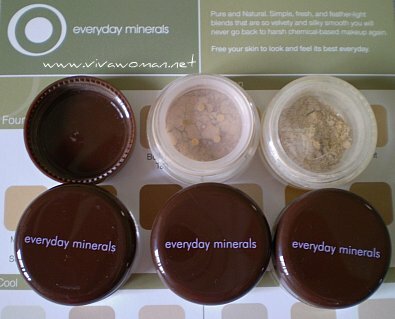 I’m so impressed andÂ for that, I’m going to add anotherÂ heart to my last reviewÂ because I got free samples on a good product that were shipped in appropriate containers.Â So here’s five out of five for Everyday Minerals Foundation from Viva Woman. I’m so psyched to get my free sample too! I find EDM oxidizing quite a fair bit as compared to other mineral makeups. Do you face the same problem? Oddmelody: No, I haven’t noticed this. Yup! Like absolution, that’s what happened to me. I was wondering if it doesnt happen to every one, then it could be my moisturiser, sunblock, etc. 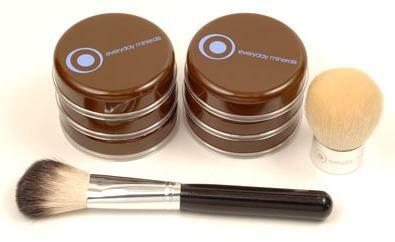 But it was not as bad with other mineral makeup brands…… Yeah, I love EDM’s brushes as well! And I am really positive despite 3 of samples didn’t match. My misstake not theirs. The foundations I ordered was the type”original glo”, the only one who match my skincolor left me with nearly perfect skin. I’ve ordered some more samples with hope those will match mys skincolor better. Thumbs up for everydayminerals! hi…can i check how u paid for it?first time ordering via US site driectly…any idea if itz more economical to pay directly or can go by vpost?thanks~!!! dolphina: If you’re referring to the samples, I paid about US$5 for the shipping which is reasonable. I’m not too sure what you plan to order, but vPOST has a base rate of around S$13 or $14 on top of the shipping cost. It could well work out to be over S$20 per shipping. So you need to compare with what EM charge you. It may not be economical unless you consolidate your orders from various sources. But vPOST is currently having a promotion so you can benefit from lower shipping if you use it now. do the samples come with the brush as well? If no, then how do you use the mineral foundation and all that? 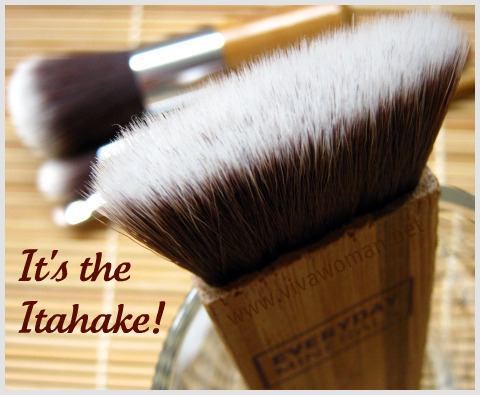 Jody: No, the samples do not include the brush. You need to order separately. Wanna ask the photo you show on this page, are those free sample kit? Those sample can be use for very long time? Simonne: Yes, those are the samples. 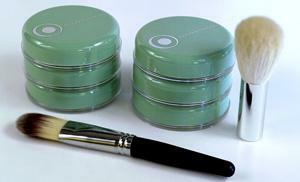 Each can last you about 5 or more application depending on how much you use. But my experience is you don’t need a lot for each application. pleass are what the everyday minerals for my slef feer i will be happy. and iam rich person. I chose 3 foundations, 1 cheek color, and 1 consealer all in sample size, but when I checked out the total cost without shipping was $12.5. How to get it free? Can anybody help me? Thanks. SQ: The samples are free but you still need to pay for the shipping.